“Specification” includes any plans, drawings, data, chemical formula or process or other technical requirements or information including Dairymac’s web site relating to the Goods or Services agreed between the parties. 2.1. These Conditions apply to all Contracts for sale of Goods by Dairymac. 2.2. The placing of an Order by the Buyer for the Goods shall constitute acceptance of these Conditions notwithstanding any other terms and conditions subject to which any quotation by Dairymac is accepted or purported to be accepted or any such order is made or purported to be made by the Buyer. 2.3. No variation to these Conditions shall be binding unless agreed in writing between the authorised representatives of the Buyer and Dairymac. 2.4. 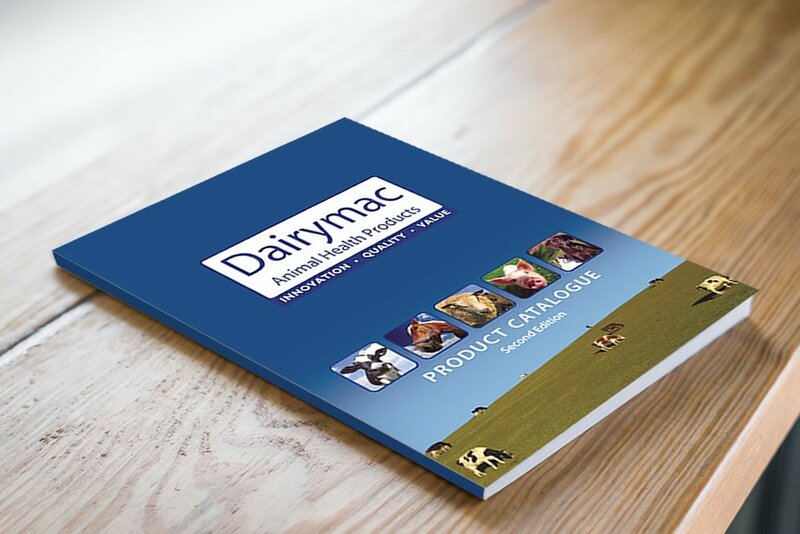 The Buyer acknowledges that all advice, instructions or recommendations of Dairymac rely and are dependent upon all the information and technical background given to Dairymac by the Buyer. 2.5. Where the Buyer does not specify a particular process, Dairymac will not be liable for any defect or failure of the process or entitle the Buyer to withhold payment if Dairymac have dispensed with such inspection on request of the Buyer for whatever reason. 3.1. The Buyer shall be responsible to Dairymac for ensuring the accuracy of the terms of any Order (including any applicable Specification) submitted by the Buyer, and for giving Dairymac any necessary information relating to the Goods pursuant to clause 2.5 or otherwise within a sufficient time to enable Dairymac to perform the Contract in accordance with its terms. 3.2. The quantity, quality, description, functionality, facilities, functions, capacity and description of the Goods shall, subject as provided in these Conditions, be as specified in the Order and any applicable Specification as set out either in Dairymac quotation or in the web site of Dairymac or any documents referred to in the Order. In the event of conflict, preference will be given to Dairymac’s web site. 3.3. All drawings, illustrations or any product literature or other publications of Dairymac must be regarded as approximations only. 3.4. Any Specification supplied by Dairymac to the Buyer in connection with the Contract, together with all intellectual property rights in the Specification, shall be the exclusive property of Dairymac. The Buyer shall not disclose to any third party or use any such Specification except to the extent that it is or becomes public knowledge through no fault of the Buyer, or as required for the purpose of the Contract. Upon request of Dairymac the Buyer will return to Dairymac any documents (or other media) in or upon which any part of the Specification has been supplied by Dairymac and shall not retain copies thereof. 3.5. If the Goods are to be manufactured or any process is to be applied to the Goods by Dairymac in accordance with a Specification submitted by the Buyer, the Buyer shall indemnify Dairymac against all loss, damages, costs and expenses awarded against or incurred by Dairymac in connection with any claim for infringement of any intellectual property rights of any other person which results from Dairymac’s use of the Specification so submitted by the Buyer. 3.6. Dairymac reserves the right to make any changes in the Specification of the Goods which are required to conform with any statutory or other regulatory requirements applicable to the Goods. 3.7. No Order which has been accepted by Dairymac may be cancelled by the Buyer except with the agreement in writing of Dairymac and on terms that the Buyer shall indemnify Dairymac in full against all loss, costs, damages, charges and expenses incurred by Dairymac as a result of cancellation. 3.8. No order which has been accepted by Dairymac may be changed or altered by the Buyer except with the agreement in writing of Dairymac. 4.1. The Price shall be Dairymac’s quoted Price or as advised in the Buyer’s price list. The company reserves the right to increase prices without notice at any time. 4.2. Dairymac reserves the right, by giving notice to the Buyer at any time before delivery, to increase the Price to reflect any increase in the cost to Dairymac which is due to any factor beyond the control of Dairymac, any change in delivery dates, quantities or the Specifications which is requested by the Buyer, or any delay caused by any instructions of the Buyer or failure of the Buyer to give Dairymac adequate or accurate information or instructions. 4.3. Except as otherwise stated under the terms of the Order and unless otherwise agreed between the Buyer and Dairymac, the Price is given by Dairymac on an ex works basis, and where Dairymac agrees to deliver the Goods otherwise than at Dairymac’s premises, the Buyer shall be liable to pay Dairymac’s charges for transport, packaging and insurance. 4.4. The Price is exclusive of any applicable value added tax, which the Buyer shall be additionally liable to pay to Dairymac. 5.1. The Buyer shall pay the Price within 30 days of the date of Dairymac’s invoice unless otherwise notified by Dairymac to the Buyer in writing, and Dairymac shall be entitled to recover the Price, notwithstanding that delivery may not have taken place and the property in the Goods has not passed to the Buyer. The time of payment of the Price shall be of the essence of the Contract. Receipts for payment will be issued only upon request. 5.2.3. charge the Buyer interest (both before and after any judgment) on the amount unpaid, at the rate of 4 per cent per annum above National Westminster Bank Plc base rate from time to time, until payment in full is made (a part of a month being treated as a full month for the purpose of calculating interest) before and after judgment. 6.1. Delivery of the Goods shall be made to some place agreed by Dairymac, by Dairymac delivering the Goods to that place. 6.2. Any dates quoted for delivery of the Goods are approximate only and Dairymac shall not be liable for any early or late delivery of the Goods however caused. 6.3. If Dairymac fails to deliver the Goods (or any instalment), Dairymac’s liability shall be limited to the excess (if any) of the cost to the Buyer (in the cheapest available market) of similar goods to replace those not delivered over the Price of the Goods. 6.7.2. sell the Goods at the best price readily obtainable and (after deducting all reasonable storage and selling expenses) account to the Buyer for the excess over the Price or charge the Buyer for any shortfall below the Price under the Contract. 6.8. Any charges quoted for delivery of the Goods including transport, packaging and insurance are approximate only and Dairymac shall not be liable for any changes to the charges quoted however caused. 7.1.2. in the case of Goods to be delivered otherwise than at Dairymac’s premises, at the time of delivery or, if the Buyer wrongfully fails to take delivery of the Goods, the time when Dairymac has tendered delivery of the Goods. 7.2. The property in the Goods shall not pass to the Buyer until Dairymac has received in cash or cleared funds payment in full of the Price and all other goods agreed to be sold by Dairymac to the Buyer for which payment is then due. 7.3. Until such time as the property in the Goods passes to the Buyer, the Buyer shall hold the Goods as Dairymac’s fiduciary agent and bailee, and shall keep the Goods separate from those of the Buyer and third parties and properly stored, protected and insured and identified as Dairymac’s property, but shall be entitled to resell or use the Goods in the ordinary course of its business. 7.4. Until such time as the property in the Goods passes to the Buyer (and provided the Goods are still in existence and have not been resold), Dairymac shall be entitled at any time to require the Buyer to deliver up the Goods to Dairymac and, if the Buyer fails to do so forthwith, to enter upon any premises of the Buyer or any third party where the Goods are stored and repossess the Goods. 8.2. the operation of its own plant and machinery. 8.6. indemnifying Dairymac (and its employees and/or agents) in respect of any claims which may be made against Dairymac (or its employees and/or agents) as a result of the disposal of such effluent or waste occasioned by the use of the Goods. 9.1. Subject to the conditions set out in clauses 8, 9 and 10 Dairymac warrants that the Goods will correspond with the Specification at the time of delivery and will be free from defects in material and workmanship for a period of 12 months from the date of their initial use or 12 months from delivery, whichever is the first to expire or such other period specified in the Order or subsequently agreed between the parties in writing. 9.2.4. the above warranty does not extend to parts, materials or equipment not manufactured by Dairymac, in respect of which the Buyer shall only be entitled to the benefit of any such warranty or guarantee as is given by the manufacturer to Dairymac. by the Buyer or any of its employees, agents or sub-contractors. 9.4. Any parameters given in respect of the performance of the Goods are based on the design parameters set out in the Specification and Dairymac will not be liable for any failure of the Goods to achieve these parameters unless the operating conditions for the Goods are the same as set out in the Specification and where applicable all chemical regenerants must be commercially pure. 9.5. It is understood that Dairymac is not an insurer and insurance (if any) shall be obtained by the Buyer, and that amounts payable to Dairymac under the Contract are based upon the value the Goods to be provided hereunder and the scope of Dairymac’s liability as set forth herein. Dairymac makes no guarantee or warranty that any services rendered in respect of the Goods including any tests of the Goods in respect of their chemical stability or characteristics or shelf life where the Goods are manufactured in accordance with the Specification submitted by the Buyer will avert or prevent occurrences or the consequences thereof which any services are designed to detect. 9.6. Subject as expressly provided in these Conditions, and except where the Goods are sold to a person dealing as a consumer (within the meaning of the Unfair Contract Terms Act 1977), all warranties, conditions or other terms implied by statute or common law are excluded to the fullest extent permitted by law. 9.7. Where the Goods are sold under a consumer transaction (as defined by the Consumer Transactions (Restrictions on Statements) Order 1976) the statutory rights of the Buyer are not affected by these Conditions. 9.8. Any claim by the Buyer which is based on any defect in the quantity, quality or condition of the Goods or their failure to correspond with the Specification shall be notified to Dairymac within 7 days from the date of delivery or (where the defect or failure was not apparent on reasonable inspection) within a reasonable time after discovery of the defect or failure. If delivery is not refused, and the Buyer does not notify Dairymac accordingly, the Buyer shall not be entitled to reject the Goods and Dairymac shall have no liability for such defect or failure. 9.9. Where any valid claim in respect of any of the Goods which is based on any defect in the quality or condition of the Goods or their failure to meet the Specification is notified to Dairymac in accordance with these Conditions, and provided the Goods are returned to Dairymac’s premises carriage paid Dairymac will at its option either replace the Goods (or the part in question) free of charge or refund to the Buyer the Price of the Goods (or a proportionate part of the price), but Dairymac shall have no further liability to the Buyer. 9.10. Except in respect of death or personal injury caused by Dairymac’s negligence, Dairymac shall not be liable to the Buyer by reason of any representation (unless fraudulent), or any implied warranty, condition or other term, or any duty at common law, or under the express terms of the Contract, for any indirect, special or consequential loss or damage (whether for loss of profit or otherwise), costs, expenses or other claims for compensation whatsoever (whether caused by the negligence of Dairymac, its employees or agents or otherwise) which arise out of or in connection with the supply of the Goods or their use or resale by the Buyer and the entire liability of Dairymac under or in connection with the Contract shall not exceed the Price, except as expressly provided in these Conditions. 10.1. If any claim is made against the Buyer that the Goods infringe or that their use or resale infringes any intellectual property rights of any other person, then unless the claim arises from the use of any drawing, design or specification supplied by the Buyer, Dairymac shall reimburse the Buyer against all reasonable loss and damages awarded against or incurred by the Buyer in connection with the claim, provided that Dairymac is given full control of any proceedings or negotiations in connection with any such claim and the Buyer shall give all assistance to Dairymac as it may require and take such steps as Dairymac may reasonably require to mitigate or reduce any such loss, damages, costs or expenses for which Dairymac is liable to indemnify the Buyer under this clause. 11.1. The Buyer shall indemnity Dairymac and keep it indemnified for the duration of the Contract against all injury (including death) to any persons and any loss and/or damage as a result of any act, default or negligence by the Buyer and its employees or agents (other than Dairymac or its sub-contractors) and against all claims, demands, proceedings, damages, costs, charges and expenses whatsoever in respect thereof or in relation thereto. 12.1. If the Buyer makes any voluntary arrangement with its creditors or becomes bankrupt or becomes subject to an administration order or goes into liquidation or Dairymac reasonably apprehends that any of the events mentioned above is about to occur then Dairymac shall be entitled to cancel the Contract or suspend any further deliveries under the Contract without any liability to the Buyer, and if the Goods have been delivered but not paid for the price shall become immediately due and payable notwithstanding any previous agreement or arrangement to the contrary. 13.1. Dairymac shall not be liable to the Buyer or be deemed to be in breach of the Contract by reason of any delay in performing, or any failure to perform, any of Dairymac’s obligations in relation to the Goods, if the delay or failure was due to any cause beyond Dairymac’s reasonable control. 13.2. Any notice required or permitted to be given by either party to the other under these Conditions shall be in writing addressed to that party as its registered office or principle place of business or such other address as may at the relevant time have been notified pursuant to this provision to the party giving the notice. 13.3. No waiver by Dairymac of any breach of the Contract by Dairymac shall be considered as a waiver of any subsequent breach of the same or any other provision. 13.4. If any provision of these Conditions is held by any competent authority to be invalid or unenforceable in whole or in part the validity of the other provisions of these Conditions and the remainder of the provision in question shall not be affected thereby. 13.5. The Contract and its performance shall be governed by the laws of England, and Dairymac agrees to submit to the non-exclusive jurisdiction of the English court.